At San Mateo County, we strive to make walking and bicycling safe and comfortable for everyone. Our Office of Sustainability works to create more livable communities through multiple programs and initiatives, including our active transportation program which encourages walking and biking. We are now working to create an Active Transportation Plan to help define priorities for walking and biking improvements. The plan will also give planners, engineers, advocates, and policymakers the tools they need to build safe, comfortable, and convenient facilities for walking and biking in unincorporated San Mateo County. 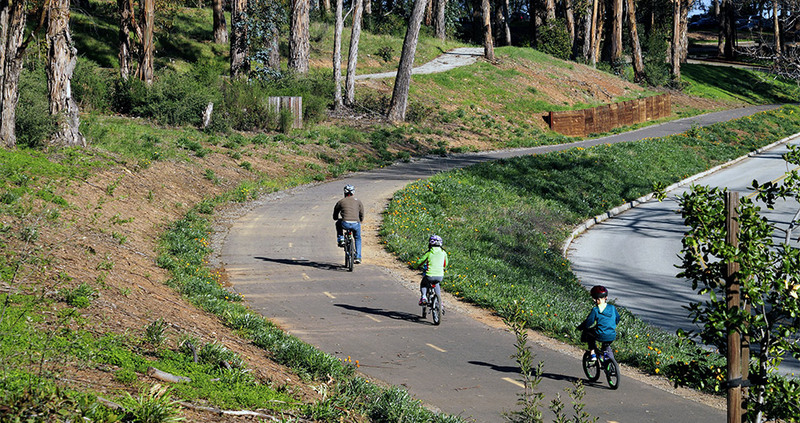 San Mateo County is home to many recreational paths for walking and biking. San Mateo County BPAC meeting: Thursday, April 18, 7 p.m., San Mateo City Hall, 330 W. 20th St., San Mateo. North Fair Oaks Health Fair and Bike Rodeo: Saturday, April 27. Stop by our booth between 10 a.m. and 2 p.m., Hoover Elementary School, 701 Charter St., Redwood City. What is the Unincorporated San Mateo County Active Transportation Plan? Through this plan, we will identify and prioritize infrastructure and program recommendations to make San Mateo County a better place to walk and bike. We will do this by studying existing infrastructure, past planning efforts, transportation data, and your ideas for improving walking and bicycling within unincorporated parts of San Mateo County. Then, we’ll propose a network of walking and bicycling facilities that are safe, comfortable, and convenient for everyone. We need your help to understand particular trouble spots this plan should address. The plan will also consider programs, policies, and funding strategies that can help to get more people walking and biking safely. The plan will help to make it safer, more comfortable, and convenient to walk and bike in places across San Mateo County. It will also help us achieve our sustainability goals around Active Transportation, Commute Alternatives, and Climate Change, and the San Mateo County community’s Shared Vision for 2025. 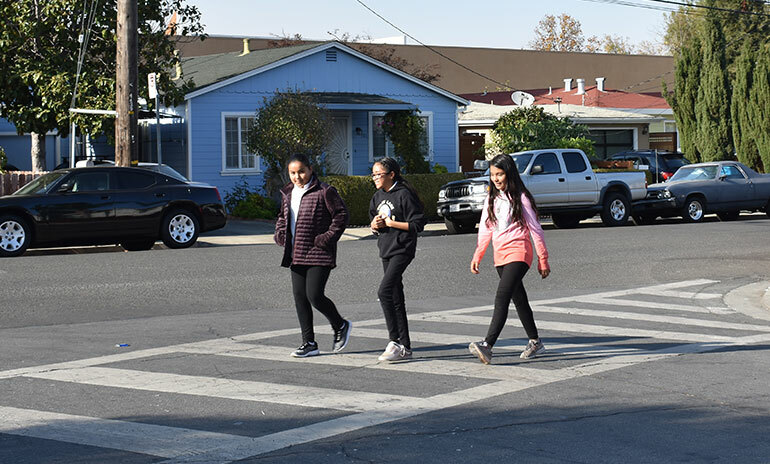 The plan will identify projects, improvements, and programs to provide safe and accessible infrastructure that encourages more walking and biking in San Mateo County. Recommendations in the plan may include financial investments, design guidelines, implementation plans, safety improvements, and encouragement programs. 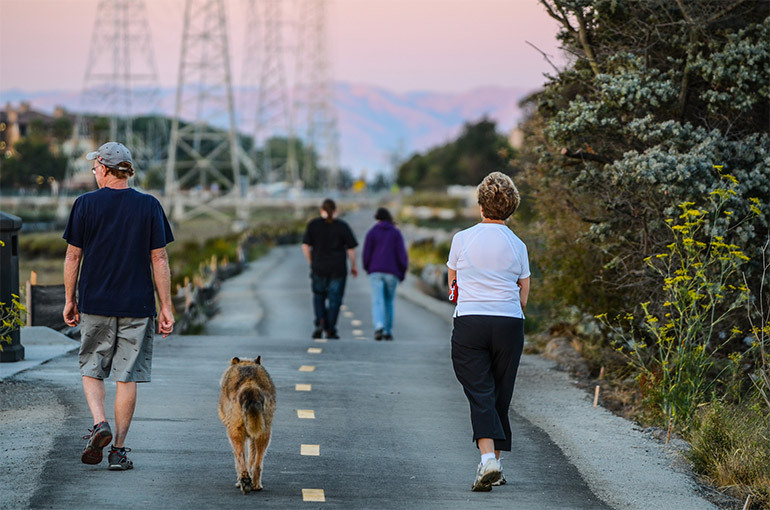 Through collaboration with the community and key stakeholders, the plan will identify existing barriers to walking and bicycling in unincorporated San Mateo County and propose new projects and programs to close these gaps. How is the plan funded, and how will projects identified in the plan be funded in the future? The plan is funded through a Caltrans Sustainable Communities Grant. Projects identified in the plan will be funded through a variety of implementation actions and funding sources. This may include regional and statewide grants, development projects, and coordination with other capital improvements. Through the Active Transportation Plan, we want to identify ways to make walking safer in unincorporated areas of San Mateo County. You are our local experts, and we need to hear from you, no matter how you get around. What is it like to walk and bike in your neighborhood? What improvements would you like to see? There are many ways to get involved, both online and in person. We want to hear from you about walking and biking in unincorporated parts of San Mateo County. Where you would like to see improved facilities for people walking and biking? Where do you like to walk and bike? We are working on an interactive map to gather your input, focusing on the unincorporated areas. We will share it with you here when it's ready! We'll have some questions for you that we'll ask through an online survey. This will help us learn more about what would get people walking and biking more. We will post our survey here when it's ready! We’re coming to you! Visit us at local events to talk with us and share your ideas. We’ll have maps for you to write on and other fun activities to share more information about the planning process, get your input, and share our progress. Road Shows: We will be hosting a series of informal pop-up events, where we will participate in community events across the county. Community Workshops: We will also be hosting open house-style community workshops to share project information and get your input through interactive activities. More information will be posted as these events are scheduled. Walking and Bicycling Tours: We will be hosting walking and biking tours to better our understanding of existing walking and bicycling problem areas for the plan. email envelope iconSign up to receive email updates about the plan. Paved pedestrian and bicycle pathways are wonderful to enjoy at sunset - or any time! 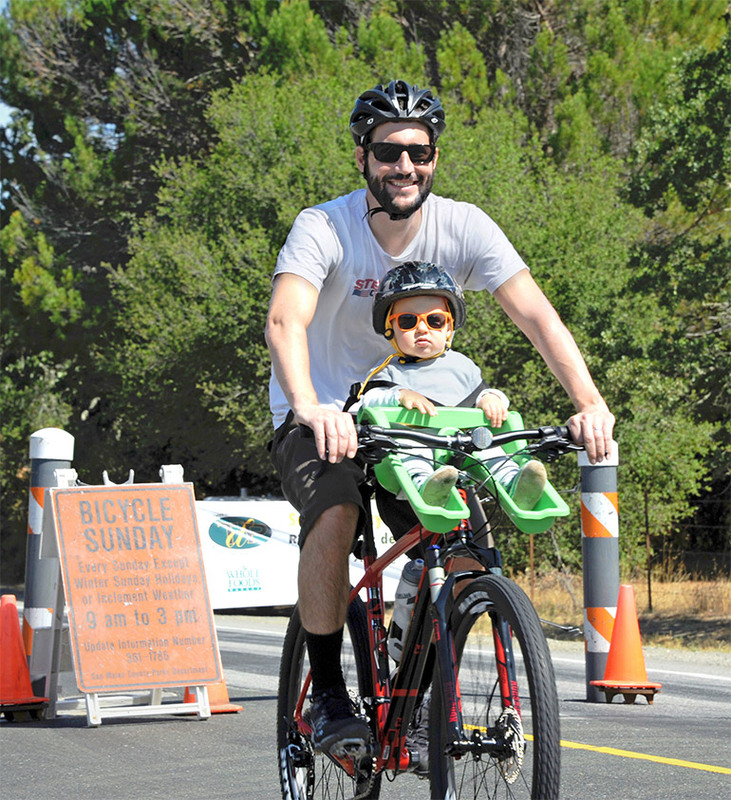 Bicycle Sunday occurs Sundays from 9 a.m. to 3 p.m. on a segment of Cañada Road along Crystal Springs Regional Trail, except during inclement weather. North Fair Oaks Health Fair and Bike Rodeo: Saturday, April 27, 10 a.m. to 2 p.m., Hoover Elementary School, 701 Charter St., Redwood City. Half Moon Bay Coastal Wildflower and Earth Day Festival: Saturday, April 13, 2019, 10 a.m. to 3 p.m, Francis Beach, 95 Kelly Ave., Half Moon Bay. This plan isn’t starting from scratch. Follow the links below to learn more about other planning efforts with recommendations we are studying for this plan. The County’s Bicycle and Pedestrian Advisory Committee (BPAC) advises the County Board of Supervisors on projects, programs, policies, and funding related to improving bicycling and walking within the county. The project team will work with the BPAC throughout the course of the project and you are encouraged to attend these public meetings. Learn more about the BPAC’s upcoming meetings and agendas. The plan is guided by a Technical Advisory Committee (TAC) to make sure that we’re coordinating with other planning efforts. There will be four TAC meetings throughout the course of the project to discuss existing conditions, initial recommendations, and the draft final plan. Interested in learning more about the project?